0625000 Features: -: Great eco-friendly addition to any rail set. -: Compatible with the rest of the PlanCity line. -: Recommended for ages 3 years and up. Product Type: -Play Vehicles. Color: -Multi-Colored. Age Range: -3 to 4 Years. Generic Dimensions: -1.9" H x 1.5" W x 7.8" D, 0.24 lb. Dimensions: Overall Height - Top to Bottom: -1.9 Inches. Overall Width - Side to Side: -1.5 Inches. Overall Depth - Front to Back: -7.8 Inches. Overall Product Weight: -0.24 Pounds. 609501 Features: -Material: Rubberwood. -For ages 3 years and up. -Environmentally safe materials. -Parents can tell their children fascinating stories about different types of trains. Product Type: -Play Vehicles. Material: -Wood. Color: -Black. Color: -Red. Age Range: -3 to 4 Years. Generic Dimensions: -2.48" H x 1.69" W x 7.4" D, 0.31 lb. Dimensions: Overall Height - Top to Bottom: -2.48 Inches. Overall Width - Side to Side: -1.69 Inches. Overall Depth - Front to Back: -7.4 Inches. Overall Product Weight: -0.31 Pounds. 511900 Features: -Sorting train. -For ages 2 years and up. -Environmentally safe materials. -With shape and sort features. 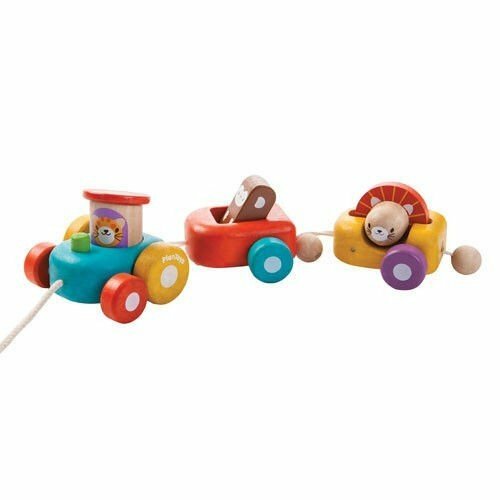 Product Type: -Play Vehicles. Material: -Wood. Color: -Multi-Colored. Age Range: -3 to 4 Years. Generic Dimensions: -Overall dimensions: 7.4'' H x 4.53'' W x 7.4'' L. Dimensions: Overall Height - Top to Bottom: -7.4 Inches. Overall Width - Side to Side: -4.53 Inches. Overall Depth - Front to Back: -7.4 Inches. Overall Product Weight: -1.3 Pounds. The 49 piece of railway set which train can travel over and under the bridge. Two-sided track features both rail and road way. Included colored tracks, train, and rail connector for expansion. rain has no magnetic connectors for safety. Road vehicles not included. 603401 Features: -Material: Rubberwood. -For ages 3 years and up. -Environmentally safe materials. -Carriages are magnetically connected. Product Type: -Play Vehicles. Material: -Wood. Color: -Red. Age Range: -3 to 4 Years. Generic Dimensions: -2.48'' H x 1.69'' W x 7.4'' D, 0.34 lb. Dimensions: Overall Height - Top to Bottom: -2.48 Inches. Overall Width - Side to Side: -1.69 Inches. Overall Depth - Front to Back: -7.4 Inches. Overall Product Weight: -0.34 Pounds. 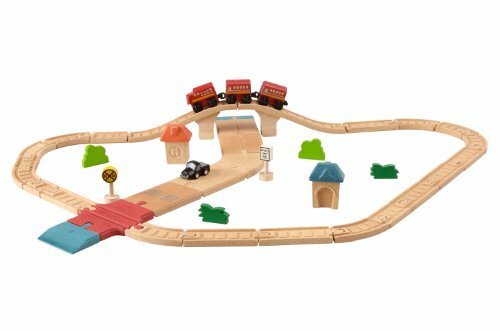 The 42 piece of road & rail set comes complete with two-sided, one and two lane rail and road tracks. Include colored tracks, cars, train, and connectors. Build a road system or convert to a rail system! Train has no magnetic connectors for safety. Looking for more Plan Toys Train similar ideas? Try to explore these searches: Pelican Dive, 42' Wind Curve, and Pool Slide Parts. Look at latest related video about Plan Toys Train. Shopwizion.com is the smartest way for online shopping: compare prices of leading online shops for best deals around the web. 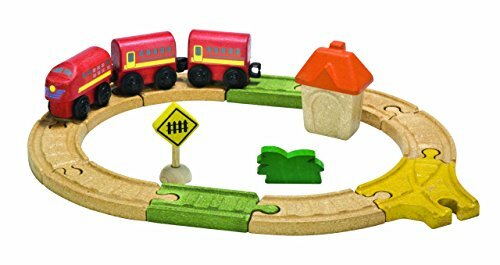 Don't miss TOP Plan Toys Train deals, updated daily.